Shipments of smartwatches and activity trackers increased 684 percent since last year, says research group Canalys. 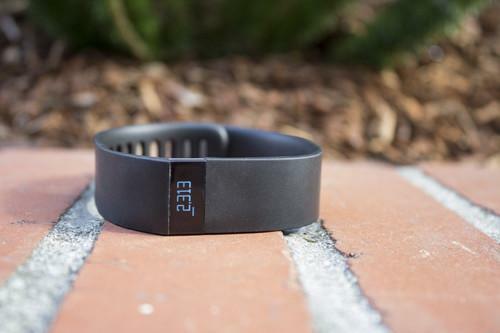 The just-recalled Fitbit Force illustrates all that’s inept in modern-day wearables. While shipments of smartwatches and fitness bands have ballooned over the last year, not everyone's falling in love with wearables quite yet. Wearable shipments increased 684 percent from the first half of 2013 to the first half of this year, according to Canalys. Shipments of basic fitness bands reached roughly 4.4 million units, while smartwatch shipments hit roughly 1.8 million units. But is anyone actually wearing these things? A recent survey by Endeavor Partners found that wearable makers are still struggling with attrition, as a third of users stopped wearing their smartwatches and fitness bands sometime after six months of purchase. That's not as bad as Endeavor's previous survey--which found that 44 percent of users were leaving their wearables behind--but it still shows how a significant segment of users can quickly lose interest. Canalys alluded to this phenomenon in its own report, noting that Samsung in particular "must improve device sell-through" or else it will have to use deep discounts to move its inventory, though the research group didn't provide any figures to back up this claim. "The challenge all vendors face is keeping consumers engaged with the devices, 24 hours a day, seven days a week," Canalys analyst Chris Jones said in a statement. In other words, wearable shipments are growing because there are more devices with wider availability, but this is still just the beginning for wearables. As Canalys points out, many vendors are waiting to see what Apple will do, and the first movers will come under major pressure if the iWatch does materialize. Until then, a lot of people are still skeptical, and even some current users are letting their devices collect dust.